The Linksys WUSB6400M AC1200 MU-MIMO USB Wi-Fi Adapter is a dual-band wireless adapter that upgrades your Windows®-based laptop, MacBook® or desktop computer to the latest Wi-Fi® standard. 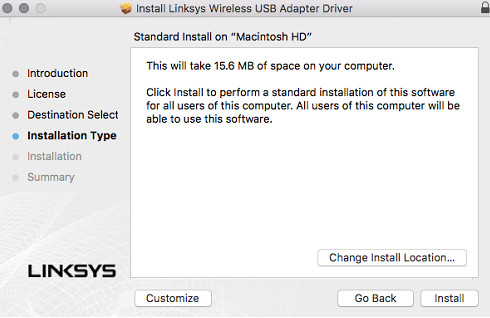 This article will help you install the driver for your wireless USB adapter using the Installer.pkg file on a Mac® computer. To learn how to set up using a Windows® computer, click here. 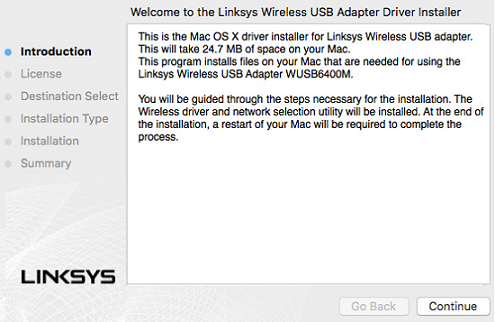 NOTE: The Linksys WUSB6400M supports OS X® 10.9, OS X® 10.10, OS X® 10.11, OS X® 10.12 operating systems (OS). Before proceeding, it is recommended to turn OFF your Mac computer’s built-in Wi-Fi adapter. To do this, click on the AirPort® icon and click Turn Wi-Fi Off. 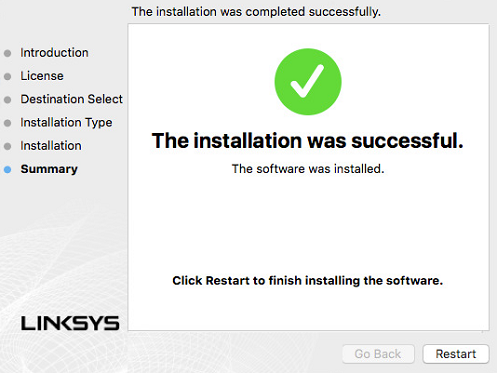 Insert the Setup CD into your computer’s CD Drive and run the Installer.pkg file. Find the OS X driver folder and double click on the Setup Utility file to unzip the installer. Double click on Setup.pkg file. 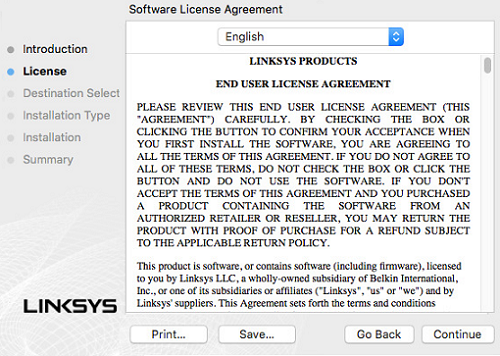 Read the Software License Agreement then click Continue. Enter your Mac computer’s User Name and Password and click Install Software. After you have restarted your computer, connect the Linksys WUSB6400M to an available USB port. 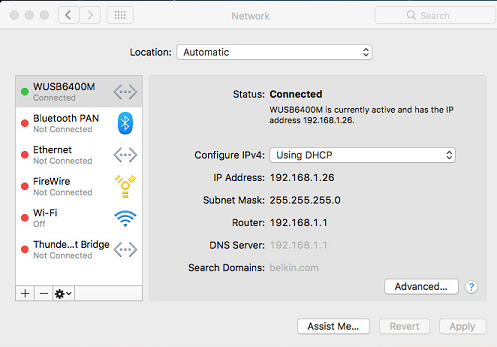 On the menu bar, click the Linksys WUSB6400M Wi-Fi icon and select your wireless network name to connect. NOTE: Due to the Mac computer’s limitation in supporting 3rd party wireless USB adapters, the wireless USB adapter will show as an Ethernet connection in Network preferences. To manage your wireless settings, use the Linksys WUSB6400M Wireless Utility. To learn more about the Wireless Utility, click here.